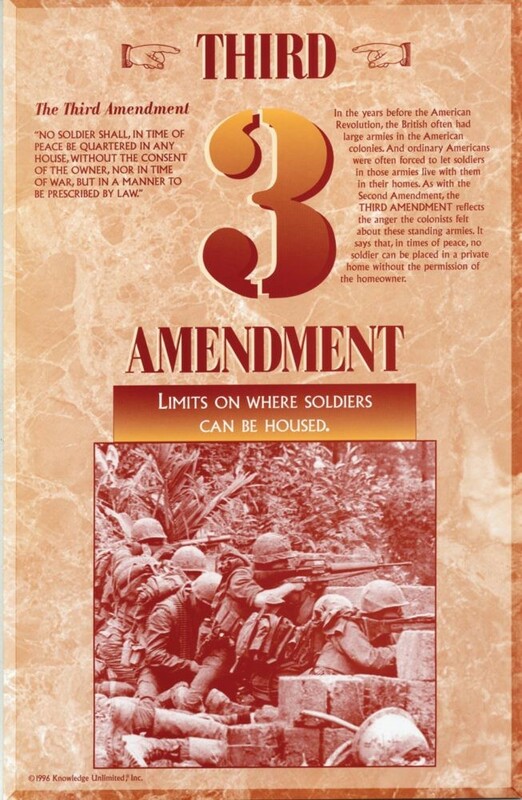 This educational poster features the text of the Third Amendment, as well as a clear explanation of the rights it protects. It also includes a photo that shows troops in action. 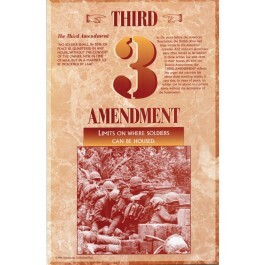 The Third Amendment protects citizens, in times of peace, from being forced to house soldiers. Although it may seem less relevant in the 21st century, it was important to the American colonists to codify this protection based on their past experience.